I was recently introduced to Cody Carpenter via social media. Cody is a Texas kayak angler who runs a great blog/website called YakSmack.com. 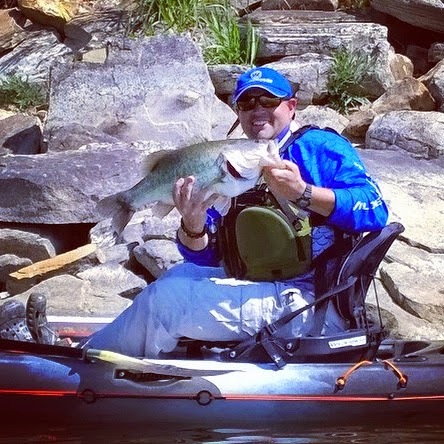 Through his blog, forum posts, and social media, it is clear that Cody oozes passion for kayak fishing. But his passion clearly reaches another level, and you can tell how happy he is to share with others and teach beginners about the sport. Cody is a 2nd year Wilderness Systems Pro, as well as a pro-staff member for Adventure Technology Paddles and Impulse Fishing Rods. Here is what he had to say when I grilled him this week. 1) How and when did you get started kayak fishing? I started kayak fishing in 2011. My dad actually asked me if I wanted an old sit-in kayak that he was given several years ago. He didn’t have any room for it anymore so I took it off his hands. Ended up being one of the best decisions I ever made. It introduced me to this sport and through it I’ve made lifelong friends and have had so many doors open to me as a result. 2) What are your top-3 species you like to target from a kayak? And being a TX guy, have you ever caught a Guadalupe bass? Largemouth, crappie, reds (when I make it down to the coast). I have actually caught a Guad while I was kayak fishing the Guadalupe River. It was one of those bucket list fish along with Peacock and Smallmouth Bass for me. 3) If someone is new to the Texas kayak fishing community, what are some sites/forums they could check out to get the ball rolling? I have not seen a forum or group in TX that didn’t welcome new guys/girls to the sport. 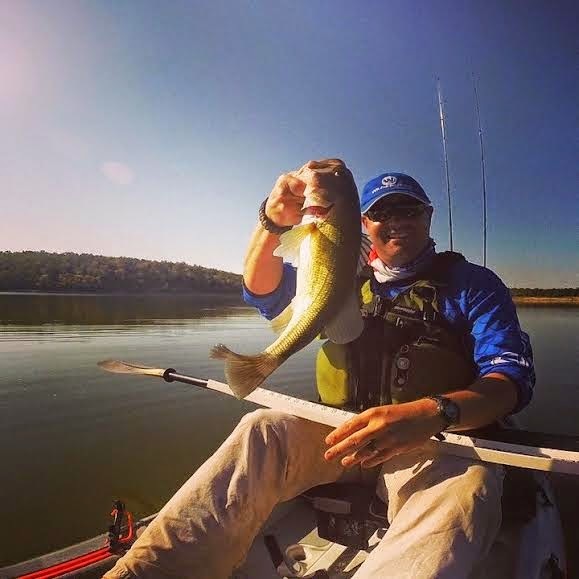 In DFW, most kayak anglers can be found on the kayak fishing section of TFF (Texas Fishing Forum) and a lot of the Austin, Houston, and further south guys tend to gravitate to TKF (Texas Kayak Fisherman). 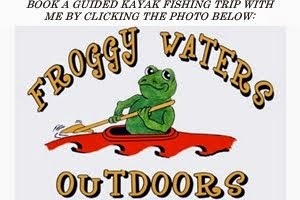 I am on both forums and both have outstanding content for all kayak fishing levels, in addition to great people. 4) In your opinion, what is the best bass fishing lure that people either don't know about or don't use enough? I think a lot of people get started on Rat-L-Taps by their grandfathers or fathers and tend to get away from them because they are “old school” lures. I always find great success when I get back on them and I always wonder why I stopped using them in the first place. 5) You are one of very few has gotten to paddle the Wilderness Systems ATAK already? What are your initial thoughts and why will we love or hate this boat? Actually, I do remember my first thought when I first sat in the ATAK. “Damn, that’s a lot of room.” I have never felt like my Ride 115X was small, until I paddled the ATAK. The stability is unmatched by any other kayak that I’ve paddled and handles wind better than my Ride. The rigging applications for the ATAK are going to be insane. There is not another kayak on the market like the ATAK. Wilderness did everything right with this boat and tested, and tested, and tested with Wildy Pro Staff until it was perfect. It’s an exciting time to be a Wilderness Systems Pro-Staffer. 6) You get to choose any sports celebrity to fish with for a day. Who do you pick and why? That’s a tough one. Being an athletic trainer, I have a lot of sports heroes. Dirk Nowitzki, for the simple fact of seeing him in a kayak. That would be great. 7) What is the biggest fish you've ever landed from a kayak? Biggest bass? The biggest fish I’ve landed was a hybrid on Lake Lewisville. That was one of my first few trips out in a kayak and I didn’t carry any measuring boards with me then, but I have yet to catch a fish that big since. My biggest bass was on Lake Mineral Wells and it measured in at around 23 inches and weighed a little over 8 and a half pounds. 8) What is your most embarrassing kayak fishing moment? Before I ever bought my first Wilderness Systems kayak I had the hand me down sit-in and became way too confident standing in that thing. I tried turning around to fish backwards and made it about a half a turn before going into the drink. I lost two rods, lots of tackle, and ruined my cell phone. I learned quickly after that to know your limits and capabilities and not to exceed them before you’re ready. 9) You're approached by a young angler wanting to grow his name and get sponsored. What are three pieces of advice that you give them? Never chase sponsorships or pro deals with companies that you don’t use their products. That’s a bad practice to start and you will lose credibility. Build a social media presence. Being active on social media can be crucial in gaining attention from potential sponsors. 10) What are your favorite fishing apps? My Navionics app is crucial to my scouting. I’m also really liking the Fishidy app right now, and I always use my WeatherBug app for up-to-date forecasts. This will most likely be the last regular interview on MPF. You know what that means - we are finally creeping out of our deep freeze! Open water, here I come. Tight lines! The Ice has Melted - My First trip of 2015!